Canon's PowerShot SX520 HS is a compact DSLR-styled 'bridge' camera with a 42x optical zoom range equivalent to 24-1008mm. It features a 16 Megapixel CMOS sensor, 1080p movies, but lacks the Wifi of its predecessor, the SX510 HS. 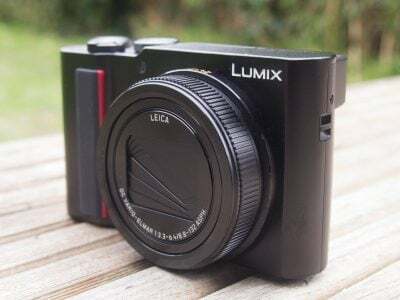 The key selling point here is packing a big zoom into a relatively compact body, but there's other options to consider including Sony's H400, Nikon's P530 and of course Canon's own SX510 HS from last year. The Canon PowerShot SX520 HS is a compact bridge style super-zoom with a 42x optically stabilized lens and a 16 Megapixel CMOS sensor. Launched in July 2014 it’s an update to the PowerShot SX510 HS launched a year earlier. The new PowerShot SX520 HS has a longer zoom and a higher resolution sensor, but that’s not all that’s changed. It’s a bigger, heavier model than its predecessor, but still one of the smallest bridge super-zooms around. As it often does, Canon has retained the earlier model in the PowerShot line up, so if you’re happy to sacrifice some of that zoom range and resolution for a more compact body, the older SX510 HS is worth a look. The PowerShot SX520 HS has lost as well as gained features, the most disappointing omission being Wifi connectivity. To leave out Wifi would be questionable in most circumstances, to drop it when it was available on an earlier model is truly a retrograde step and one that effectively rules out upgrading for existing SX510 owners. Even supposing you could live without Wifi, the SX520 HS also lacks the earlier model’s Super Slow Motion video modes and the fastest full resolution continuous shooting speed drops from an already pedestrian 3.8fps to a 1.6fps crawl. 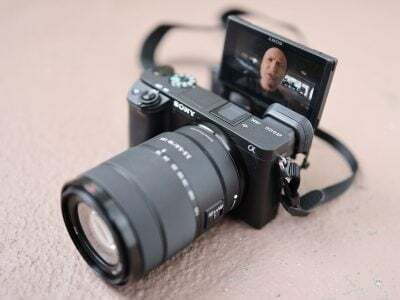 Disappointing omissions aside, the SX520 HS nonetheless packs a powerfully long zoom range into a very neat and compact body and that alone is reason enough to look deeper and see what else it has to offer. Here I’ve compared it with the Sony H400 and Nikon COOLPIX P530, two models that compete closely in terms of price and features. The PowerShot SX520 HS looks much more like a conventional bridge super-zoom than its predecessor, which occupied a place somewhere between a DSLR and a point-and-shoot compact. The overall size and weight is up by around 25 percent, the contours are a little curvier, it has a more pronounced hump and the grip is a lot more substantial. The build quality is good, everything fits snugly with no rattles, and the matt plastic black finish looks good. The grip is covered at the front in a softer, slightly textured rubber-like material which is also used for the ample thumb pad and it felt comfortable in my, admittedly slightly small, hands. The SX520 HS is a little smaller and around 50g (just under a couple of ounces) lighter than the Nikon COOLPIX P530, but the difference isn’t huge. The Sony H400 on the other hand is significantly bigger and heavier, weighing nearly 200g more. One of the reasons for the SX520 HS’s relative compactness, though, is its lack of an electronic viewfinder, something both the other models are equipped with. On the SX520’s top panel to the right of the flash there’s a slightly recessed on/off button, I found it a little difficult to get to, but on the up side there’s no way it’s going to get pressed accidentally. To the right of it is a large plastic mode dial and between that and the shutter release is a brand new control dial which is operated with your index finger. This controls exposure in the PASM modes. Moving round the the back, the control layout is familiar, but slightly different to the SX510. There’s a four-way controller with settings for ISO, flash, display and focus mode on the cardinal points and a Func. Set button for accessing the quick menu in the middle. Below it are a menu button and a continuous shooting mode button, an odd choice as with only a 1.8fps mode it’s not exactly one of the SX520 HS’s strong points. The playback button sits above the four-way pad and two remaining buttons, movie record and exposure compensation are located on the raised, rounded edge to the right of the thumb pad. Overall, and with the exception of the continuous shooting button it’s an arrangement that works well. A rubber-like flap on the right side of the camera body covers the SX520’s combined USB / A/V out and mini HDMI ports, and on the base a narrow plastic door provides access to the combined battery and card compartment. The SX520 HS takes the same NB-6LH battery as its predecessor which lasts for 210 shots on a full charge. That’s not going to deliver a full day’s shooting unless you’re very frugal, but switch to Eco mode and you can squeeze 290 shots from a fully charged battery. Eco mode dims the screen after a couple of seconds inaction, then turns it off ten seconds later, and after a further three minutes turns the SX520 HS off altogether. The SX520 HS has a built-in pop-up flash unit that you activate by raising it with your fingers. You can set one of four modes – Auto, on, slow synchro and off – using the right position on the rear pad. The flash has a maximum distance at the wide angle lens setting of 5.5 metres; assuming that’s at 1600 ISO that makes it a little less powerful than the built in flash units on the Sony H400 and Nikon COOPIX P530 with 8.8m and 8m respectively. While neither the PowerShot SX520 HS, COOLPIX P530 or Cyber-shot H400 has a hot shoe, you can fit the PowerShot SX520 HS with Canon’s HF-DC2 external flash. Like the Sony H400 and COOLPIX P530, the SX520 HS has a fixed LCD screen that measures 3 inches diagonally. It has a resolution of 461k dots, the same as the H400, lower than the 920k dot screen on the COOLPIX P530, but aside from the specifications the SX520 HS screen produced the most visible image of the three – particularly in bright conditions. It also has very good performance at wide viewing angles, remaining visible from acute sideways angles. It’s not so good vertically though and the screen dims significantly once you get beyond about 45 degrees, so it’s not so good for overhead shots – the Nikon P530 wins that contest. With the screen being the only means of composition on the PowerShot SX520, it needs to be good though. Both the COOLPIX P530 and the Sony H400 have electronic viewfinders which can be used in bright conditions, for action shots, at high zoom magnifications, or simply because you prefer a viewfinder to composing using the screen. It’s more of an issue on a super-zoom, for me personally at least. I found taking action shots at long focal lengths, like my sample images from the World Belly boarding Championships in Cornwall, accurate framing was much more of a challenge with the SX520 HS’s screen than using the viewfinder on the H400 and COOLPIX P530. The PowerShot SX520 HS has a 42x optically stabilised zoom with a 35mm equivalent range of 24-1008mm and a maximum aperture of f3.4 closing to f6 at the telephoto end of the range. This is a big increase on the 30x zoom of the SX510 HS which topped out 720mm equivalent, though, as I said earlier there’s a price to pay for this in terms of a larger, heavier body. The f3.4-6 maximum aperture isn’t especially bright, but average for super-zooms in this price bracket and compares with f3.4-6.5 on the 63x H400 and a slightly brighter f3-5.9 on the COOLPIX P520. As with any zoom the closest focus distance gets further away as you zoom in, but it’s only a few inches away at the wide angle setting (in macro mode the closest focus is 0cm) and you can get pretty good shallow depth of field by zooming in a little and setting the widest available aperture in Aperture priority mode, as you can see from my Aperture priority shots on the samples page. One of the problems of shooting at long focal lengths is that it’s quite easy to lose track of your subject, especially if it’s moving around. The SX520 HS provides a nifty solution in the form of the Framing Assist button on the left side of the lens. Press the Framing Assist (Seek) button and the lens does a rapid zoom out, with a white frame to indicate the previously framed area. For quickly re-acquiring your subject when fully zoomed in it’s a very useful feature to have. A second Framing Assist (Lock) button activates stabilization tailored for shooting still at long focal lengths. 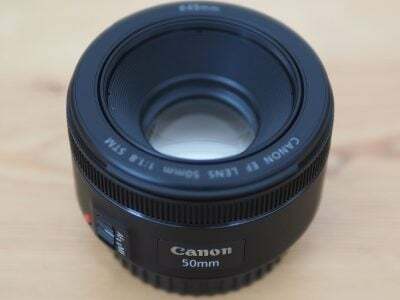 The lens has Canon’s Intelligent IS optical stabilization system which compensates for camera movement allowing hand-held exposures at slower shutter speeds than would ordinarily be possible. Intelligent IS has three positions, Off, Shoot only and Continuous. I tested the stabilization on the SX520 HS by selecting Shutter priority mode, zooming the lens to its maximum 1008mm equivalent telephoto and taking a series of shots at progressively slower shutter speeds, first with the stabilization off and then in continuous mode. For this test I didn’t activate the Framing Assist (Lock) feature. As you can see from the 100 percent crops below, you can hand-hold the SX520 HS at speeds down to 1/30th amounting to an impressive five stops of stabilisation. I was occasionally able to get sharp shots at 1/15th, but 1/30 produced consistently good results. With the same Digic 4 processor as the earlier SX510 HS and indeed the SX500 IS before that, the PowerShot SX520 HS shares the many of the same shooting modes, including of course the traditional PASM modes, (or P, Tv, Av and M as they’re denoted on all Canon cameras) and Smart Auto with scene detection capable of identifying 32 scene types including moving subjects, backlighting, sunsets and close ups, as well as when you’ve got the camera on a tripod, and adjusting the exposure accordingly. The Live View control position on the mode dial provides a simple interface for novices to experiment with exposure compensation, saturation and white balance via three sliders labelled Dark/Light, Neutral/Vivid and Cool/Warm. It’s a small step from here to switch to Program mode and use the exposure compensation button, or press the Func. button and alter the white balance setting from the Func. menu. Canon’s Hints and Tips feature provides some explanation of these more advanced settings. The Creative filters position provides six effects – Fish-eye, Miniature, Toy camera, Monochrome, Super-vivid and Poster – most of which offer several variants. The Miniature mode is one of the most versatile ’tilt shift’ effect filters around and allows you to flexibly position the focus zone in the frame in either landscape or portrait orientation. Along with the Monochrome, Super-vivid and Poster Creative filters it can also be used for movie shooting. You might think Canon is standing still when it comes to effects filters, which are undeniably popular, but rather than simply adding new effects to the menu the SX520 HS has something much more interesting on offer. Creative Shot mode, first introduced on the PowerShot N100, is an extension of the filter effects which automatically applies a selection of them to a shot to produce six variations. The SX600 HS uses scene detection to determine which effects to apply and it also crops some images to produce new compositions. All six versions are then displayed for a couple of seconds and if you press the Func Set button you can review them individually though, of course, you can play them back at any time just like other shots. An example is shown below..
It’s a little disappointing to see Canon Stick with the Digic 4 processor for the SX520 HS, as models with the HS suffix, denoting the back-illuminated CMOS chips with better low-light performance are more usually paired with the more capable Digic 5. That would not only have brought more sophisticated scene detection, but endowed the PowerShot SX520 HS with other features like Handheld NightScene and HDR stacking modes. 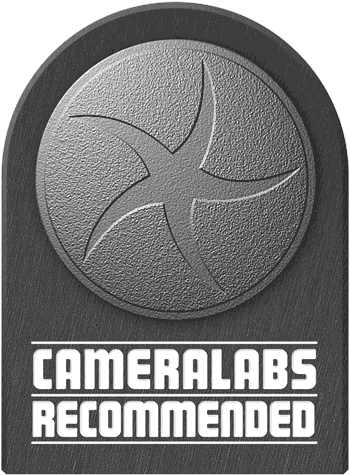 Sadly they’re missing here, and like all Canon cameras to date, there’s still no panorama mode. The SX520 HS has a dedicated movie record button on the shoulder of the body to the right of the thumb pad. Press it in any mode and movie recording begins with the exposure set automatically. The SX520 HS has a movie position on the mode dial which switches the display to 16:9 proportions with black bars top and bottom in HD movie modes, but doesn’t allow any manual control over exposure or ISO settings. You can however change exposure compensation by +/- 2 stops prior to recording. Canon has dropped the 1080p24 movie mode of the earlier SX510 HS and replaced it with 1080p30. There are two further modes, 720p30 and VGA (640×480) also at 30fps. Movies are encoded using the H.264 codec and saved as QuickTime files with a .mov extension in the same folder as still images. Canon doesn’t publish figures, but I measured the average bit rate of movies recorded in the 1080p30 mode at around 30 Mbit/s. So a 4-5 minute clip will occupy around a Gigabyte of card space. The limit on continuous recording is when the file size reaches 4GB or a second short of 30 minutes. Canon recommends using a Speed Class 4 or higher memory card. The PowerShot SX520 HS retains the Movie Digest mode of its predecessor, only now it’s called Hybrid auto. It works in exactly the same way, recording a short movie clip prior to each still image you shoot and automatically assembling them into a movie. It’s an inspired idea and remains one of the best movie features of Canon compacts. One of the earlier SX510 HS’s great movie features was its Super Slow motion recording with two recording speeds, 640 x 480 at 120fps and 320 x 240 at 240fps, providing playback speeds of 1/4 and 1/8. Tragically, this has been dropped on the SX520 HS. You can only assume that the super slow motion video modes, like faster continuous shooting are a casualty of the move to a higher resolution sensor, but it’s a high price to pay for an additional 4 Megapixels of image resolution. This clip, like the others below was shot using the PowerShot SX520 HS set to it’s 1080p30 best quality video mode. The most impressive thing here is the stabilization, which does an excellent job of keeping things steady during the pan, it’s a bit of a struggle at the full extent of the 1008mm zoom though. For this tripod mounted pan I turned off stabilisation. The SX520 HS makes a great job of the exposure and renders pretty starburst highlights on the water. The zoom goes at about the right speed to cover the range in about four seconds and the zoom motor is inaudible. Another win for the stabiliszation on this interior hand-held pan, but there’s a lot of noise visible and the colours are quite desaturated. To test the PowerShot SX520 HS’s continuous autofocus, I zoomed the lens in a little and panned from the flower on the table up to the bar, then back down to my coffee cup. The SX520 HS does a pretty good job of changing focus unobtrusively, though it doesn’t manage to track back out to the flower the second time around, probably due to the low lighting conditions. A good result all the same though. The PowerShot SX520 HS feels like a less well balanced camera than its predecessor, which hit a sweet spot in terms of size and features. Some aspects of its handling are undoubted improvements, though, the main one being the addition of the top panel control dial. This makes exposure changes in PASM modes much more manageable, though Canon could have been more ambitious with it, for example by adding Program shift to it as on the Nikon COOLPIX P530. The SX520 HS has four focussing modes, Area AF/Face AiAF, Centre AF, Tracking AF and Manual. All are quick and reliable in good lighting. It would be nice if Canon added these to the Func. Menu but, as it is, at least they are at the top of the Shooting settings menu. Manual focus is selected using the left position on the four way controller and adjusted using the up and down positions with a magnified area and distance scale displayed on the screen. It’s fine for static subjects and with the camera mounted on a tripod, but not very practical with moving subjects or in low light. The PowerShot SX520 HS has a 16 Megapixel CMOS sensor paired with Canon’s older Digic 4 processor. Large images measure 4608×3456 pixels and are saved as JPEGs at one of two compression settings. Large Superfine JPEGs are typically 5-9MB in size. The shutter speed range is 15 – 1/2000 (1 – 1/200 in Progam auto) and the ISO sensitivity range is 100 -3200 ISO. To see how the quality of the Canon PowerShot SX520 HS measures-up in practice, take a look at my Canon SX520 HS quality and Canon SX520 HS noise results pages, browse my Canon SX520 HS images, or skip to the chase and head straight for my verdict.